Magnificent waterfront property with ocean access & Private Dock. This large home features 4 BR, 3 BA, 2 Car garage with Salt Water Heated pool.Newer modern European style kitchen, 2 dishwashers, Dbl oven. Formal dining, Master BA has a double sink. Jacuzzi. Located at the end of S Southlake Drive, steps from the Intercoastal waterways. Minutes from the beach. 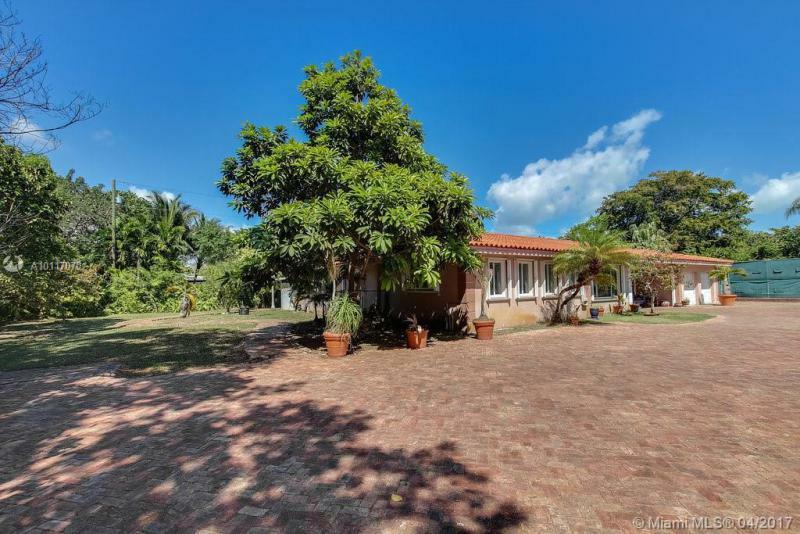 This is a 4 bedroom 3 bathroom estate on a 1+ Acre Lot. The home has original hardwood floors throughout most of the rooms. The kitchen has white appliances and granite counter tops. Perfect for entertaining and for large families. It could also be a great investment for someone that wants to create a larger and more updated home. The house is located in Northern Pinecrest, minutes from the Dadeland Mall, US 1 and the Palmetto Express Way. Hurry, it will not last! Charming one floor single family home with stylish swimming pool and a large lot of almost 10,000 sq ft. Very quiet and serene street featuring ample driveway parking. Modern and simple elegance this house is 4 bedrooms and 3 bathrooms plus featuring a cabana bath. Updated marble floor baths and kitchen w/ stainless steel appliances, new cabinet and granite counters. New roof and circular driveway. Venetian blinds in all rooms. Please call L.Agent for showing instructions. 1st Time Open! Lg acreage in prime location surrounded by exclusive homes! 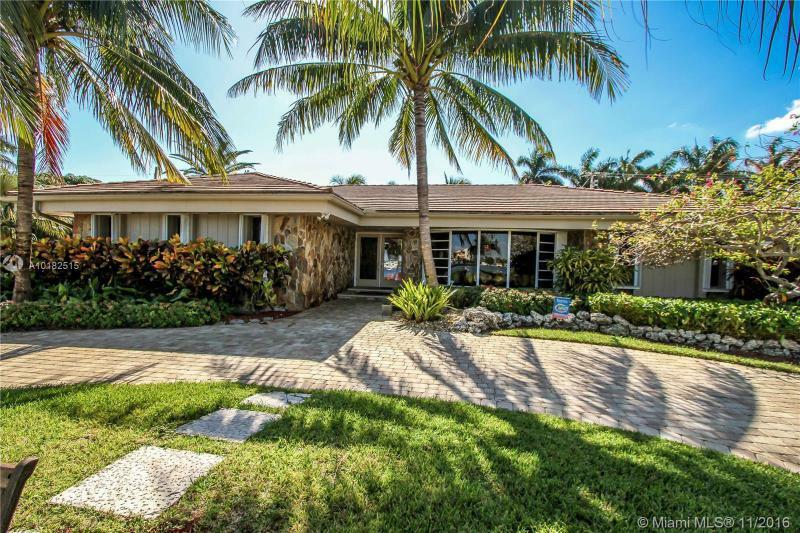 Understated elegance in this spacious 4/3 pool home w/north south tennis court perfect for a large family. Features include 2 family rooms, formal dining & living room, large eat in ktchn, ample bdrms/closets nestled on gated 36,155 sf lot w/expansive brick driveway & huge dome screened patio/pool, summer ktchn + bbq area in the back w/many variety of fruit trees. Across from St Thomas Episcopal. Close to the best schools in Miami. New Construction two story custom designed Contemporary style waterfront home built on deep water ocean access near downtown Fort Lauderdale. No fixed bridges. Optional car lift, 5th bedroom/office, summer kitchen, other custom options also available. Preconstruction pricing, financing available to qualified buyer. Perfect location for boaters. This property is located on South Miami Ave, also called millionaires row, adjacent to Brickell Ave. This home is ready for a full remodel, or a tear down and build a multi-million dollar mansion of your dreams. This is a hidden gem!!! Easy to show. Elegant and updated family home on one of the Gables best streets! Great floorplan with generous bedrooms and a private master suite with dual walk-in closets + a well-equipped bath. Updated white kitchen opens to breakfast area/family room with custom built-ins & space to entertain. Foyer and formal living room feature lots of natural light. French doors open to lush backyard w/ patio and room for a pool. 2 car garage & new roof make this home a complete package! SQFT per architect.